Judy Benefiel is a self-proclaimed fighter. She has survived malignant melanoma, a severe subarachnoid hemorrhage, breast cancer, and in 2001, she was diagnosed with chronic obstructive pulmonary disease. When she initially learned about her disease, she hadn’t even heard of the term let alone how to live with it. 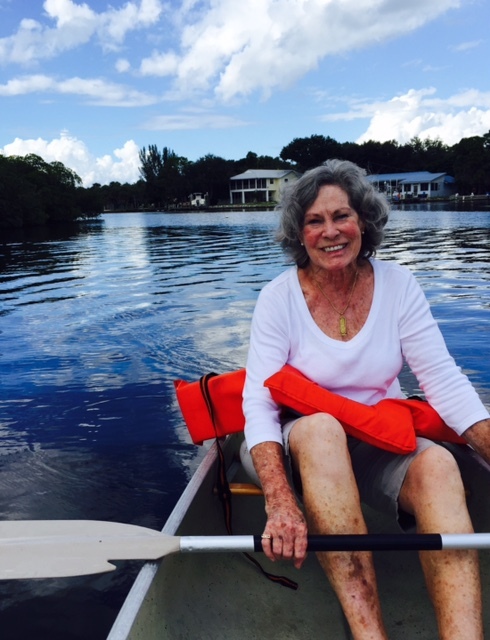 Soon after her diagnosis Judy found herself in and out of the hospital with lung infections, unable to complete simple tasks, and using oxygen along with several medications just to get through the day. Ten years later, Judy was accompanied by her best friend Courtney to a routine visit with her pulmonary specialist. Courtney asked the specialist if he would recommend Judy for a lung transplant, and to their surprise, he did. When the Tampa General Hospital stated they would like to see Judy for pre-testing, she was determined to take her life back. “At this point I knew it was the time to put on my armor and start the fight of my life,” Judy said. A year and a half later in December 2012, Judy was placed on the list for a double lung transplant. She was visited her doctors regularly and received hundreds of tests during the time she desperately waited. As if she had not been through enough, one of the many tests determined Judy had breast cancer and she would therefore have to be taken off of the transplant list. Judy was devastated. “It was a very sad time and a lot of tears were shed as they told me I would have to be temporarily taken off the transplant list and they didn’t know if I would be put back on,” she explained. Judy completed her cancer treatments by June 2013, all the while living with the challenges of COPD and waiting for any good news from Tampa General Hospital. On a typical afternoon she quietly read her COPD Digest and came across an article: Lung Volume Reduction Surgery: Is It For You? Instead of tears, Judy excitedly asked if lung volume reduction surgery (LVRS) was a viable alternative, and she later learned that it was indeed an option. A doctor called Judy back, asked her to come in for a meeting and reviewed her records, x-rays, and CT scans. He explained the pros and cons of the procedure, as well as its dangers. He mentioned to Judy that she was not an ideal candidate, but did ultimately agree to perform the operation. In November 2013, twelve years after her initial COPD diagnosis, Judy underwent the lung volume reduction surgery. “I don’t want to fool anyone, it was a terrible ordeal and at times I wished I would die. After 19 days in the ICU, I could barely move with a walker. A good friend took me to her home and kept great care of me for a month...Eventually (about 6 months) I weaned myself off oxygen,” Judy recounted. It was a long journey that tested Judy’s strength, faith, and resolve but she persevered and made it through. Since the operation, Judy has not experienced one lung infection and has only used her rescue inhaler four times in the past two years. Her pulse stays between 96-98, and if it goes below 96, she uses diaphragmatic breathing, which she says she also learned from the COPD Digest. Now you can find Judy at the gym, only having to take one puff of Advair a day. She has fought for her life with the support of her loved ones, armed with the education that she sought out from the COPD Foundation. 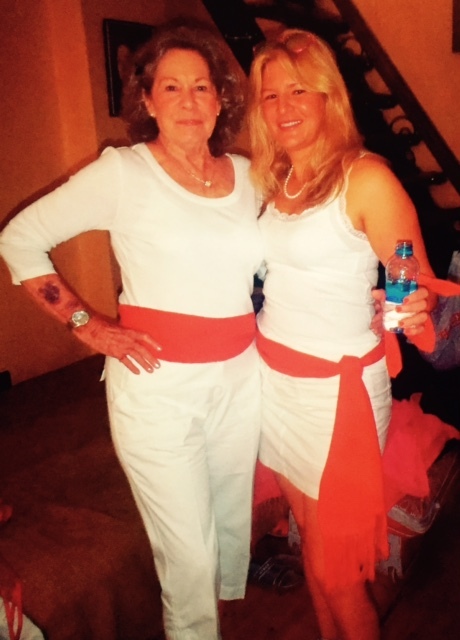 Judy can add “COPD survivor” to her long list of accomplishments, and has put her armor away. Has the COPD Digest helped you? Let us know by e-mailing the COPD Foundation at info@copdfoundation.org or sending a letter to the COPD Foundation, Attention: Managing Editor COPD Digest, 3300 Ponce de Leon Boulevard, Miami, FL 33134.